Almost as much as we enjoy new RAM 1500, RAM 2500, Dodge Dart, Jeep Cherokee and Chrysler 200 models, we at Tate Branch Hobbs enjoy numbers. That’s true of mile per gallon ratios and performance figures, in addition to determining feasible Dodge, Chrysler, Jeep or RAM lease agreements and car loans for the drivers that we serve from Hobbs, Lovington, Denver City TX, Seminole TX or Seagraves TX. 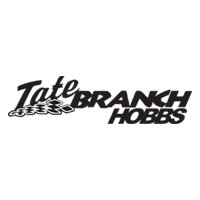 When you’re ready to discuss these options in-depth, we invite you to visit our auto financing experts at Tate Branch Hobbs. Conveniently housed at 4123 N. Lovington Hwy, Hobbs, NM our number-crunching team is happy to answer any questions. Of course, you can also submit our online application form here on our website, anytime as well.